The proposed acquisition, Nasdaq says, “advances and accelerates Nasdaq’s strategic direction as a technology and analytics provider to the global capital markets and beyond”. It is also expected to deliver “attractive shareholder returns” – 10% ROIC within three to five years. Nasdaq looks to acquire all outstanding shares and warrants in Cinnober at a price of SEK 75 ($8.4) per share and SEK 85 ($9.5) per warrant, representing an offer value of SEK 1.7 billion ($190 million). The acceptance period of the public tender offer is expected to close in Q4 2018, subject to certain conditions customary in Swedish public tender offers (e.g. that Nasdaq becomes owner of more than 90% of the shares in Cinnober and review by relevant competition authorities). Cinnober provides solutions and services to trading and clearing venues worldwide, including exchanges, clearinghouses, banks and brokers. Largely based on the firm’s proprietary TRADExpress Platform, they cover price discovery and matching, real-time risk management, clearing and settlement, index calculation, data distribution and market surveillance. 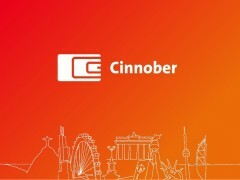 Amongst Cinnober’s customers are Asia Pacific Exchange, Australian Securities Exchange, B3, Dubai Gold and Commodities Exchange, Euronext, Japan Exchange Group, Johannesburg Stock Exchange, London Metal Exchange, LME Clear, NYSE and the Stock Exchange of Thailand.